Late Nights at the Natural History Museum are phenomenal. Make the best of this opportunity to exercise your drawing skills and rediscover its magnificent halls. Draw an unparalleled collection of natural history specimens from the world over. 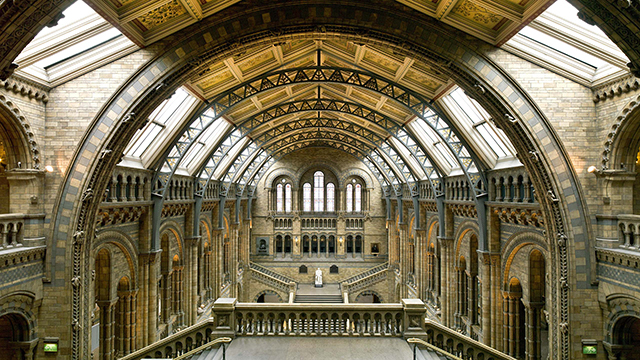 This museum offers a unique and varied visual feast, from ornate galleries to the contemporary architecture of the Darwin Centre. Meet underneath the Tyrannosaurus Rex in the main hall between 18:30-18:45pm. All you need to do is arrive with your sketching materials. The museum provides stools for free if you need one. © 2018 Sketchmob.co.uk. All rights reserved.